Cassatt, Mary , 1844?1926, American figure painter and etcher, b. Pittsburgh. Most of her life was spent in France, where she was greatly influenced by her great French contemporaries, particularly Manet and Degas, whose friendship and esteem she enjoyed. She allied herself with the impressionists early in her career. 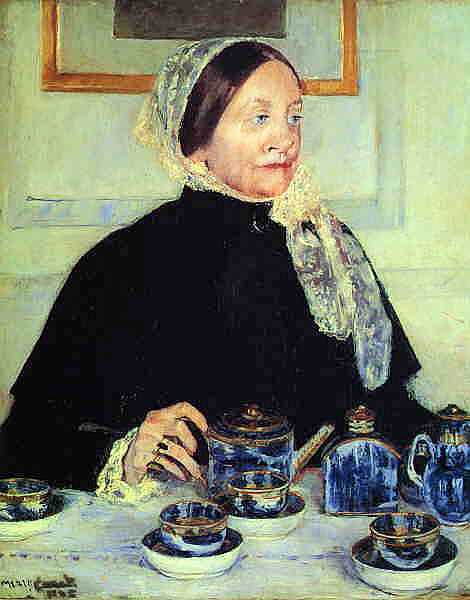 Motherhood was Cassatts most frequent subject. Her pictures are notable for their refreshing simplicity, vigorous treatment, and pleasing color. She excelled also as a pastelist and etcher, and her drypoints and color prints are greatly admired. She is well represented in public and private galleries in the United States.